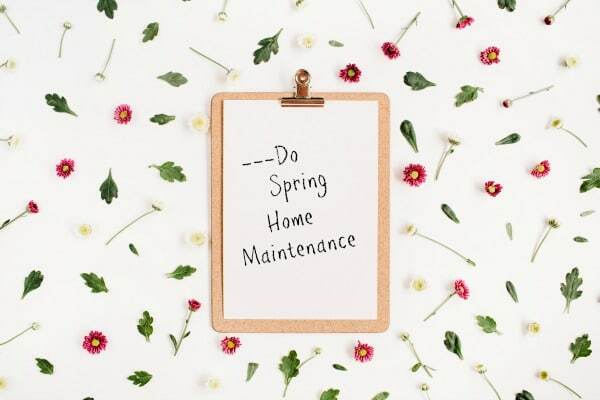 A Spring Home Maintenance Checklist will help your home get the attention it needs after a long winter. 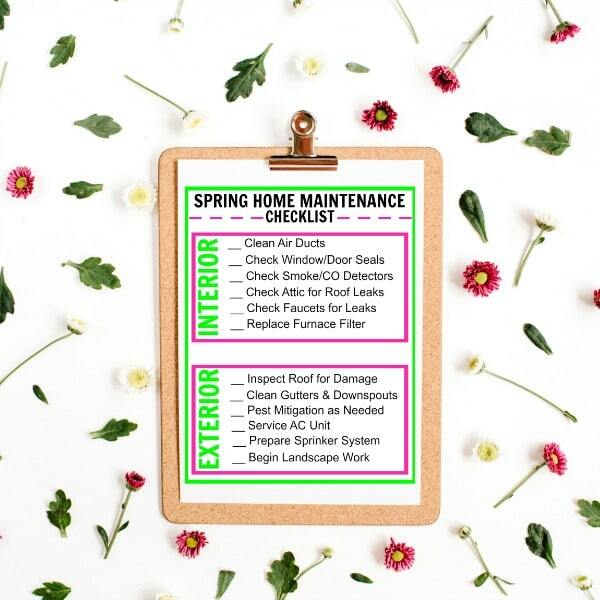 This free printable checklist will allow you to focus on important home maintenance activities in an organized fashion. Family life for me is busy. I know most of the people I know are in the same boat. There is never enough time in the day to accomplish everything we need to do. If I don’t stay organized important details will fall through the cracks. One of those details could be the important home maintenance activities I need to do each spring. Home maintenance is vital to keeping home values where they belong. It can also save me money repairing items that could break if they are not regularly maintained. 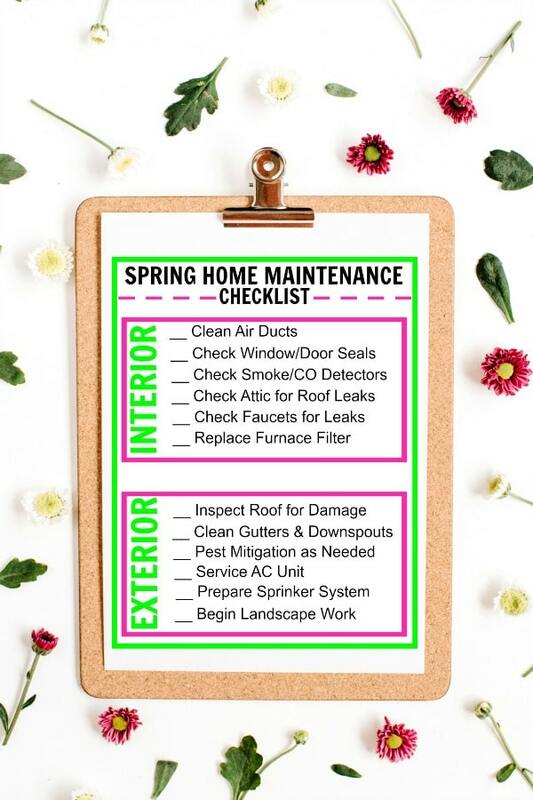 I am able to stay on track with what needs to be done by using a spring home maintenance checklist. I can usually complete all of these indoor items in one morning using the checklist. There are also certain outdoor jobs that need to be done each spring. Some of the outdoor activities can be time-consuming and we turn the big jobs into family work days. 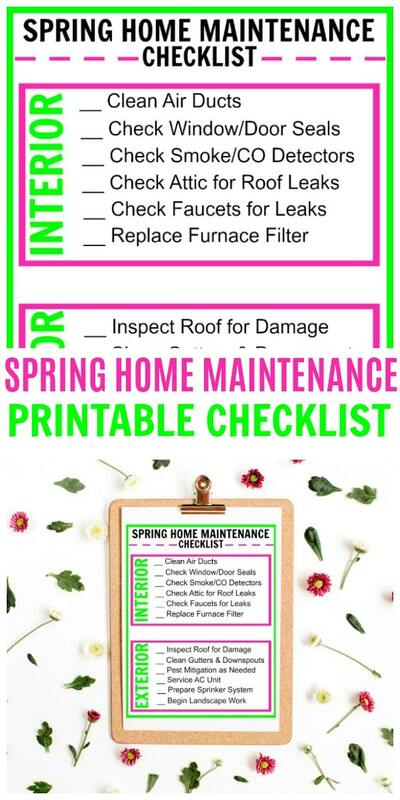 You can download and print off a free spring home maintenance checklist for your own personal use. I like to laminate the checklist so I can reuse it year after year. Home ownership is hard work and the more tips, tricks and shortcuts I have ready to go the better. There are so many areas of my home that need attention! I have created a lot of different checklists to keep me on track. 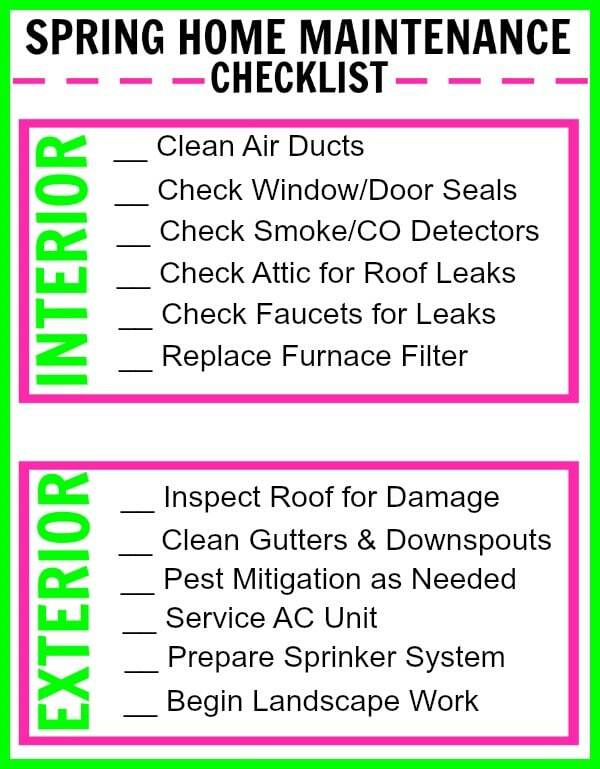 These checklists keep my home in the best condition possible and I don’t get overwhelmed by the work. Another thing I use daily to a stay organized with my home and family is a printable family binder. This binder has everything I could need to make family life go smoothly. I believe that this binder is a game changer for busy families. Here are some checklists you may want to download and use too! Don’t forget to SHARE this post with your friends so they can get all of their spring home maintenance completed too! Such a great idea!! Thank you so much for sharing this printable with us at Encouraging Hearts an Home. Pinned.